NANAN SHENGJIN STONE CO.,LTD is a leading stone manufacturer and exporter in South China more than 20 years' history. We are engaged in stone-related mining, manufacturing and trading, and have own import & export license. 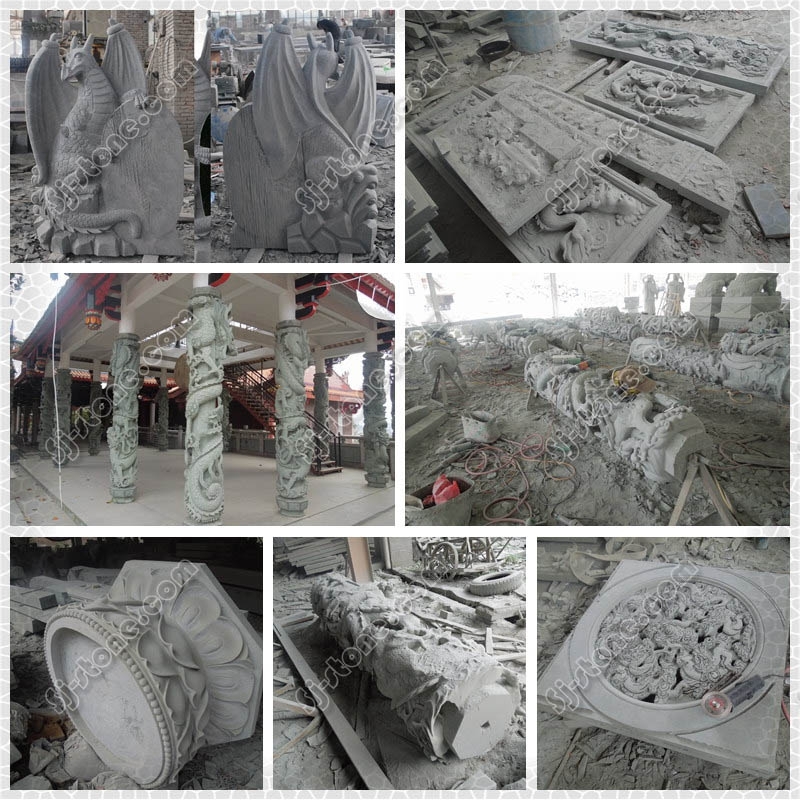 Our products cover memorials,marble fireplace, marble figure carving,countertop ,natural culture stone, stone tiles and slabs, ect. All of these products have been exported to Europe, American, South east Asia, Middle East ,Japan, North Korea and worldwide. With many years of stone managing experience, we have established sound business relations with many companies both at home and abroad and gained high reputations. 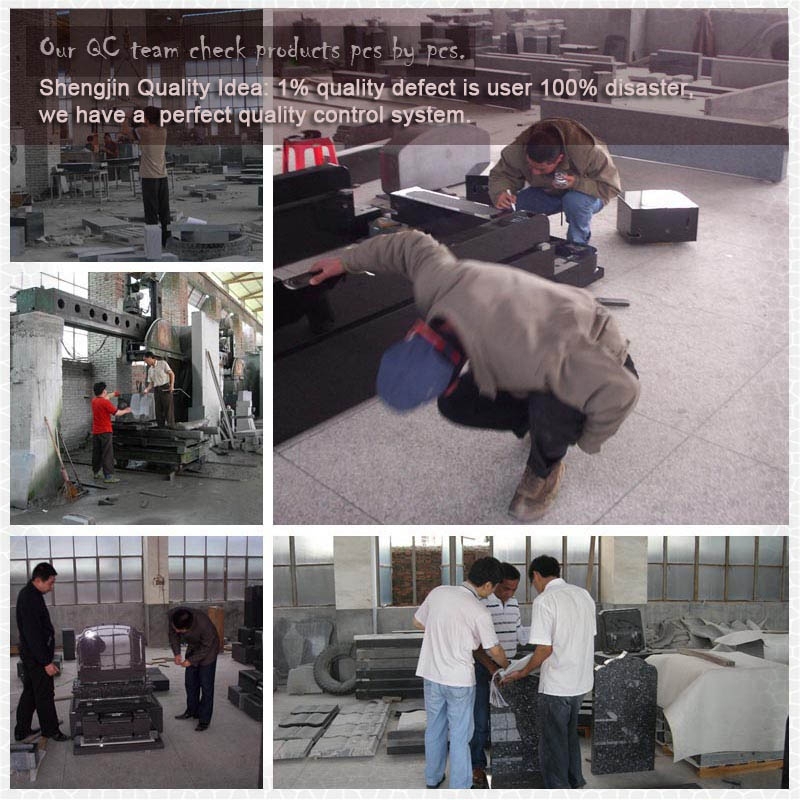 We have professional craftsmen, advanced stone processing equipments, strict quality control and management systems. All of these allow us to provide our clients with top quality products, punctual delivery and good services. In according with the principle "Quality and Service first", our vision is to spread quality Chinese stone products to every corner of the world. Nanan Shengjin Stone Co., Ltd. Locate at the central area of Golden Triangle in the south of Fujian province, the China`s biggest base for stone products production, processing and export---Nan`an.,which is closely adjacent to Xiamen and Quanzhou Ports, convenient both on land and water transportation, and an ideal place for merchants to get together for business. 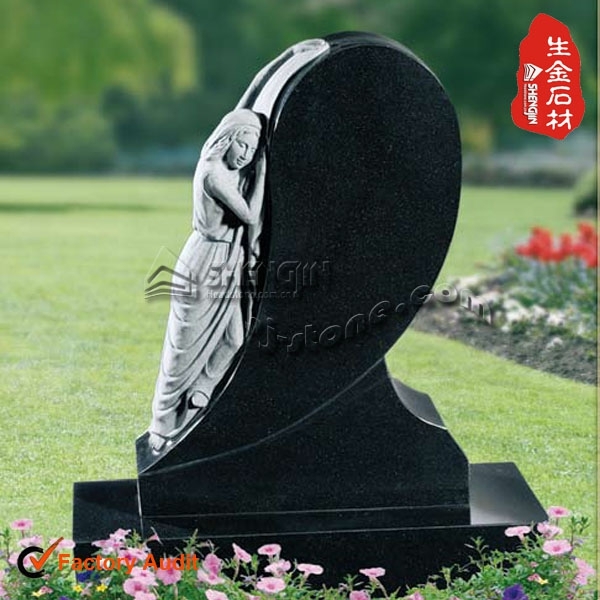 The company established in 1993, who mainly accepted orders from foreign trade companies and produced Japanese style monuments at the start, In 1995, the company obtained the independent right of import and export, and begined to export various stone products to overseas.The current business involved mausoleums,Japanese-style tombstone, bailey and matching products, European-American style monuments and matching products, stone artistic carvings, landscape sculptures, Buddha sculptures, granite/marble sink, and fountain ball. The annual export volume achieves 10 million US dollars. The company now has more than 100 employees, the workshop covers 15000 square meters, and possess of the advanced equipments and technology. The total asset is over 15 million RMB. Based on the detailed and timely communication, our sales people will explore all technical details of the project with you, answer your questions, record your requirements and clear your concerns. 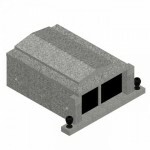 Our technical supports can study your drawings,give you suggestions and point out our questions and concerns. We may help in making your installation easier and saving your cost. 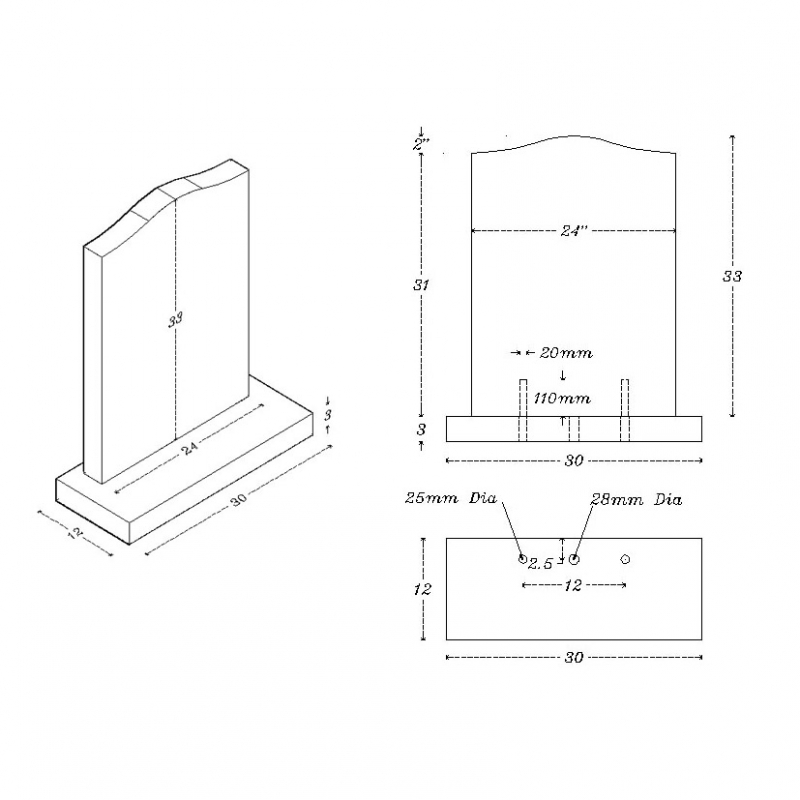 If you need CAD drawings or if you are still in the initial stage of your project,we can help to provide CAD designs based on the communication with you and give our advice. We can make all details on the drawings for client confirm before produce,As such,we can assure our products can meet you request 100%. After we confirmed all drawings, materials and other technical details, we will make the detailed price estimation for you. And based on your budget, we can give you several different choices. During the whole production process, from material choosing to fabrication to package,our quality assurance people will strictly control each single and every process to ensure quality standards and punctual delivery. we also welcome clients to monitor product quality by either personally visiting our factory or employing third party independent inspection companies. We can arrange multi transportations to clients in USA or Australia, like Container Yard to Container Yard, Door to Door, Custom Clear, Local Delivery and so on. The Shengjin stone Company not only exports products of building stone, but also provides our customers with more and more perfect after-sale services. Please contact us for the details. 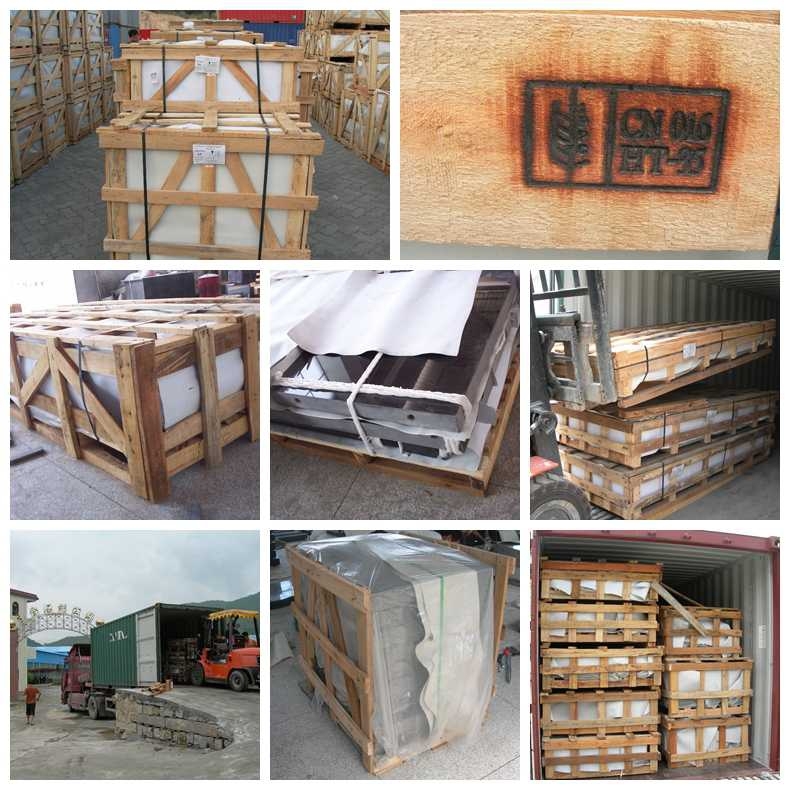 We pack the monument,tombstone by Strong wooden Crates with Fumigation.To ensure safe loading and transporation,we have cooperated shipping company at Xiamen.We load the goods into container by ourself and then take pictures for our clients' checking. We have the professional Sculptors for Rose , Angel and Animal Sculpture. They have been working for our company more than 12 Years. So we can keep each order in the same design and sculpture . 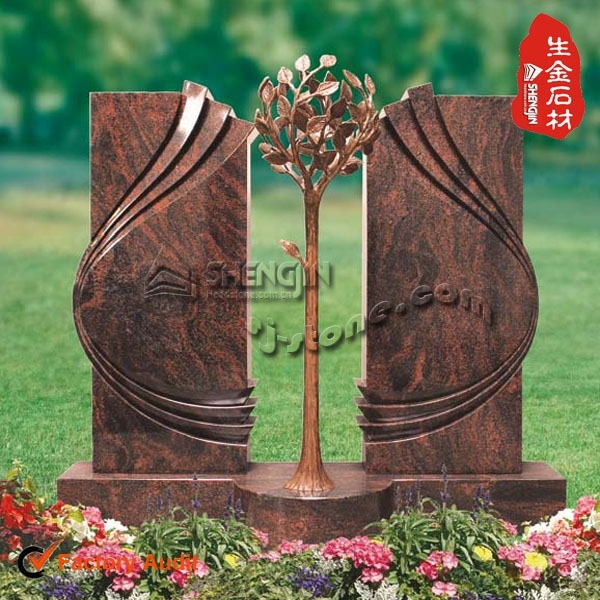 You may view the high-definition monument in our factory.Contact us to see more video and pictures sample. 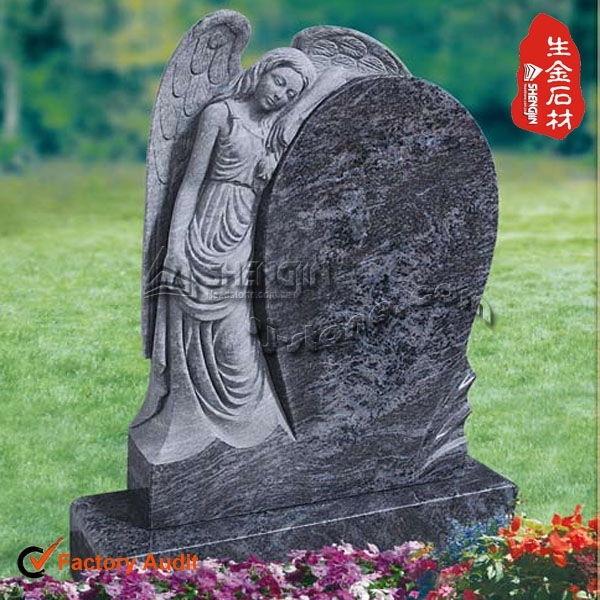 As a leading manufacturer of granite monument in China,We provide a wide range of perfect services from the gravestone design and the selection of color and materials to the processing, lettering,carving,etched, sandblast and package of the finished products of gravestones. 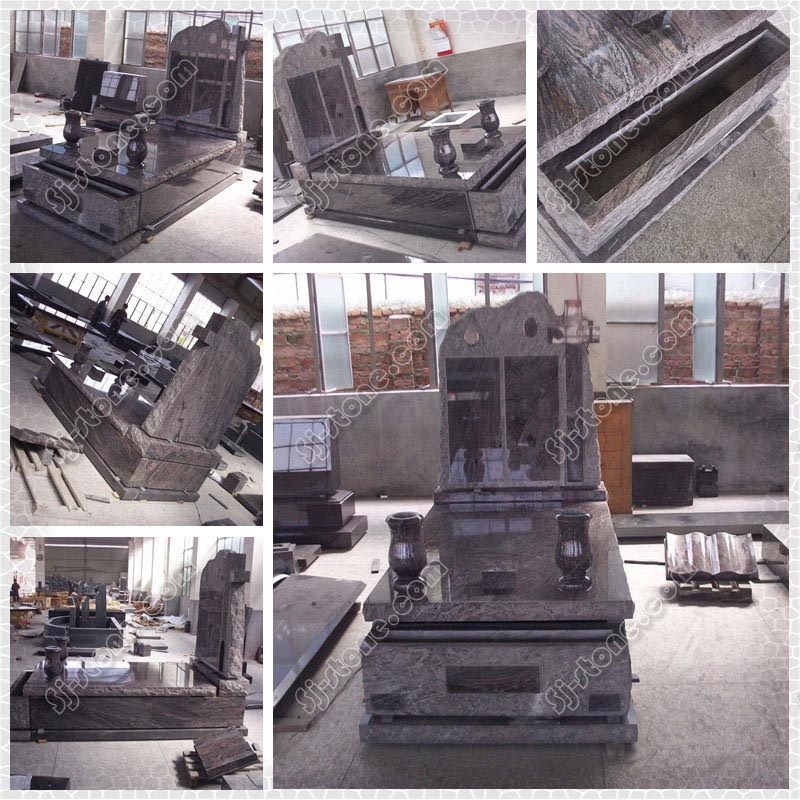 we are equipped with a team of experienced craftsmen,who guarantee good sculpture on tombstone. Our commitment is to deliver you high quality elegant stone products at highly competitive prices, coupled with an exceptional customer service experience. OEM:Customers'DIY size ,DIY design all acceptable;Free CAD design are available according to customers size and finished.We can combine orders so that you only need to pay one time. Please contact us before you pay if you need that service.